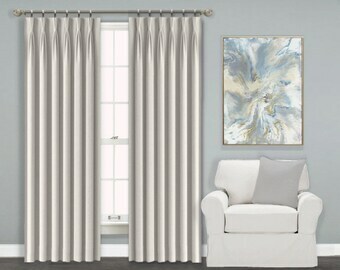 Announcement Custom Window Cornice Valance Pelmet Box Window Treatments, Pinch Pleat Curtains and Custom Drapery, Bed Canopy Crowns and Home Decor by Designer Homes. 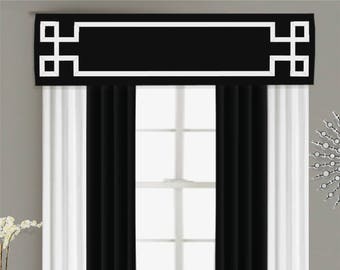 We offer a wide selection of Cornice Board Valance window treatments, Bed Crown Canopies, Fabric Roller Shades, bathroom shower curtain cornices, padded upholstered headboards, and custom personalized dog beds with monogramming in modern fabrics. 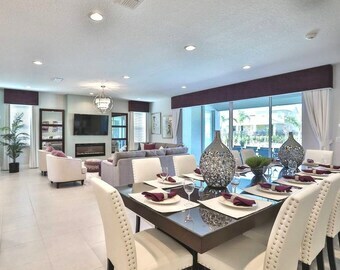 We would love to help you transform your drab space into a fab space! 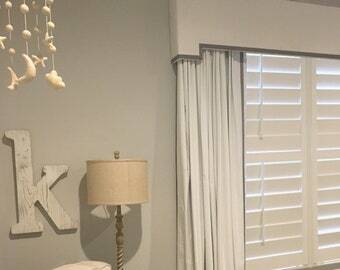 We also have monogram headboards and cornice boards / Pelmet Boxes to personalize your space and make it uniquely your own! 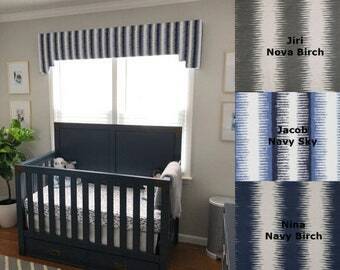 Whether you are looking for a custom headboard / cornice, custom headboard / valance box or a monogrammed headboard or window topper to personalize your room, you are sure to find the fabric headboard or cornice you are looking for in our shop. 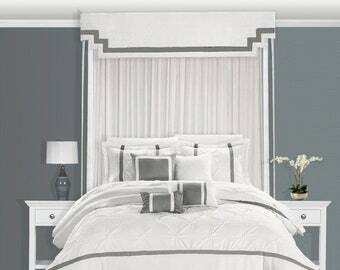 We also welcome custom headboard and cornice orders and would love to be a part of your creative process! So please take a look around our shop and be sure to send us a message through "Request a Custom Item" or "Contact" with any questions you may have. We appreciate you very much and look forward to the opportunity to work with you to create your dream space! Like Us On Facebook for Coupon Codes and Exclusive Deals to our Fans! 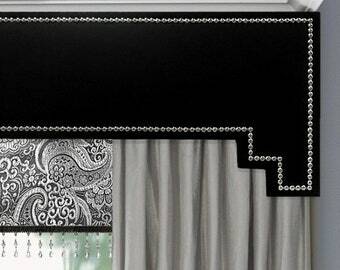 Custom Window Cornice Valance Pelmet Box Window Treatments, Pinch Pleat Curtains and Custom Drapery, Bed Canopy Crowns and Home Decor by Designer Homes. 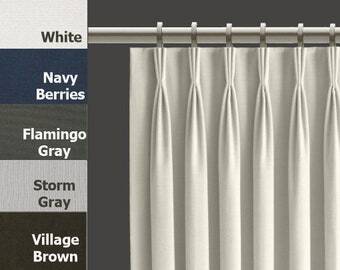 We offer a wide selection of Cornice Board Valance window treatments, Bed Crown Canopies, Fabric Roller Shades, bathroom shower curtain cornices, padded upholstered headboards, and custom personalized dog beds with monogramming in modern fabrics. We would love to help you transform your drab space into a fab space! We also have monogram headboards and cornice boards / Pelmet Boxes to personalize your space and make it uniquely your own! 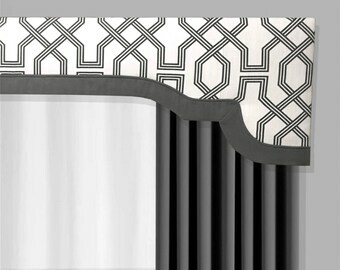 Whether you are looking for a custom headboard / cornice, custom headboard / valance box or a monogrammed headboard or window topper to personalize your room, you are sure to find the fabric headboard or cornice you are looking for in our shop. 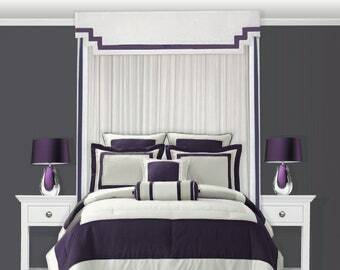 We also welcome custom headboard and cornice orders and would love to be a part of your creative process! Love, love, love - this came out perfect and made my window look so much larger!! They're absolutely beautiful!! I have yet to put them up but I am amazed at how high the quality is!! I'm so glad I bought from you!! Thank you so much!! Perfect!!! Came very fast. Just love it!!!!! Designer Homes was originally started by Michelle Daniels with an emphasis on custom headboard designs and coordinating window cornices. The demand for quality handmade craftsmanship was apparent as sales began to rapidly increase. With the increase in volume a partnership with Destin Pledger was created to both introduce fresh ideas and expedite production time. The meshing together of Michelle's history of fashion and interior design, coupled Destin's experience in graphic design and business management, paved the way for Designer Homes to offer unlimited design services and create cohesiveness throughout a space with a full scale line of home decor products and soft furnishings. Both owners are passionate about the fading ideals of the simpler days when quality and craftsmanship set the standards for goods and friendly service was the norm. 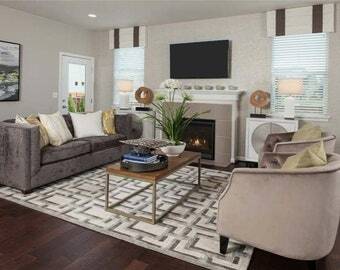 Hi and welcome to our Designer Homes! 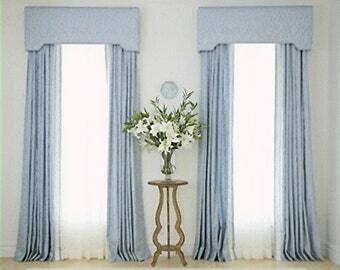 We offer window cornice pelmet box valances, bed valances with draperies, pinch pleat curtains and other draperies, fabric covered blackout roller shades, and upholstered headboards in a variety of patterns and colors including in the hottest fabrics for home decor, Buffalo Check Plaids, Textural Solids, Geometric Designs and so many more. 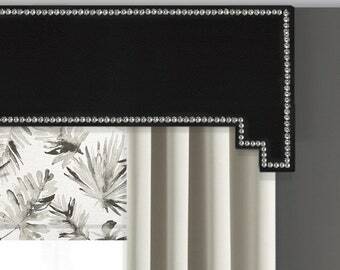 Our upholstered headboards and window cornice valance boxes, as well as our Roman shades and roller shades are constructed with professional quality for you to enjoy for years to come! Our products will add visual interest to any room and bring that magazine worthy transformation to your space that you've been searching for! We thank you for visiting our shop and are eager to help you create the perfect room that is as unique as you are. Check out our full line of . All upholstered headboards, cornice board pelmet valance boxes and window coverings are custom made to order and are non-refundable. If you feel you have read and followed our recommendations before ordering and yet have special circumstances that should be taken into consideration for a refund, please contact us via Etsy convo and we will work together resolve the issue. If we ARE able to accept your return, we will not be able to refund the original shipping costs to you (We do not get that back either). We will only be able to refund the purchase price of your item. Please know that in most cases we are happy to take your return, however, you will be responsible for the return shipping costs, as well. Thank you for understanding. Please know that your items are carefully examined by us before we ship them out to you. We package these items with great care and insure them with the shipping company. We have complete control over the quality of your item before it leaves our studio. However, we have no control over your item being damaged during shipping transit (That is the responsibility of the shipping transit provider used). If you have received your item and it was damaged during delivery, please notify us immediately upon receiving the shipment and we will help you resolve the issue through UPS or other carrier. Please take photographs of any damage incurred during shipment along with any documentation given to you by the carrier. Thanks! Payment is due when the order is placed. We ship to the address provided by you on Etsy. If you use the e-check option through Paypal, it can take several days for your check to clear through Paypal. Please be aware that we cannot produce your item(s) until your e-check has cleared. This means our stated production time will begin from the date your payment has been cleared through Paypal. Thanks so much for understanding. Shipping is only estimated, since it is very difficult to give an exact shipping price of our items due to the size options available and the rates to your location. Please send your complete address with zip code so that we may give you an accurate shipping quote for your area. Our preferred method of shipping is FedEx. However, we may use UPS, USPS or a freight service if necessary to save you money on shipping expenses. We ALWAYS refund shipping overages to our valued customers! We make every effort possible to ensure that the colors represented are as accurate as possible. However, all monitor colors are different. 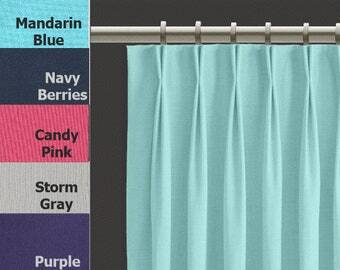 We recommend that you order swatches of the fabrics that you are interested in before ordering to verify colors.